Since this fall’s iPhone is expected to stick with the same body design as the iPhone 6 and iPhone 6s a new report claims instead of iPhone 7 Apple will call the new model iPhone 6SE. The source for the next iPhone’s name comes from supply sources in China, and doesn’t seem like a good fit considering Apple already sells an iPhone SE. Supply chain sources speaking with apfelpage.de (English translation) said Apple is going with the potentially confusing name for this fall’s iPhone models because of the design similarities with the current lineup. Instead of sticking with the current naming convention where 6 was followed by 6s, and this fall should be 7, Apple is holding back the big number change for 2017 when the iPhone is expected to get a major redesign. Apple is expected to release new iPhone models this fall along side the launch of iOS 10. A new report claims Apple is targeting September 16 for the rollout, putting it a little ahead of last year’s iPhone 6s launch. The new models are expected to match the overall style of the iPhone 6s and iPhone 6s Plus, but with repositioned antenna lines, faster processors and WiFi, better cameras, improved waterproofing, and a solid state Home button instead of the mechanical button found in current models. Reports claim Apple is removing the 3.5mm headphone jack and will support audio over the Lightning connector as well as Bluetooth. 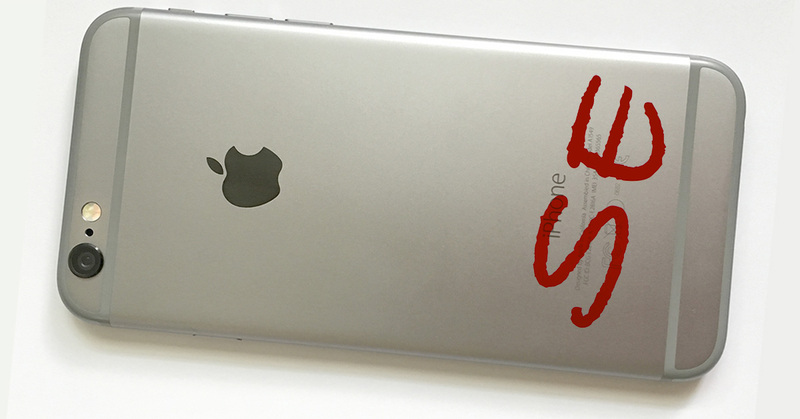 While it’s possible Apple will go with iPhone 6SE, it isn’t very plausible. The name overlaps with the recently introduced iPhone SE and seems like an opportunity for confusion. Calling the larger 5.5-inch model the iPhone 6SE Plus sounds a little clunky and very much not like Apple’s style. Like so many other rumors, this one should be taken with a grain of salt. Considering how unlikely it is that Apple will go with iPhone 6SE for the new model’s name, that grain needs to be pretty big. No audio jack, no iPhone for me. I’ll upgrade to the current model but after that, I’ll go with someone else’s phone. I use it with good headphones a lot. It’s primarily a telephone and an iPod to me. I’m not buying some expensive adapter to get good sound. SE is correct! It stands for “Sans Earbud” 3.5mm jack.